Our 30" Machine stretch film is made of the highest quality cast pallet stretch film and is able to work with all stretch wrapping equipment. Machine wrapping your products will increase load retention over time and provide higher puncture resistance. Our cast stretch film is also high clarity, making it easy to see information printed on products such as labels and barcodes. 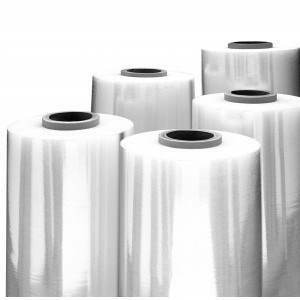 Cast film is also very quiet in comparison to blown films and greatly reduces excess warehouse noise.